Wood stoves in common areas work especially well with an open floor plan. In addition to the ambience and comforting lifestyle of wood combustion heat, they have the advantage of using biogenic fuel which is carbon neutral if it comes from a sustainably harvested source. Be sure to check the manufacturers specifications for the cleanest burning, EPA-approved options. 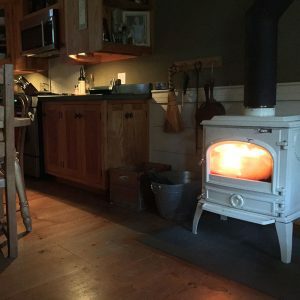 For a deep dive into all things wood stove, visit our nonprofit partner the Alliance for Green Heat. Wood stoves must be chimney vented. Installing a new wood stove will require connecting to an existing chimney or adding an exterior metalbestos chimney. See your local building codes for construction details when venting through walls, floors, or the roof. Inside, at the stove location, beware of the need for clearances from combustable surfaces, the hearth extension at the front of the stove, and proper heat shields. Your particular installation details will be dictated by the stove manufacturer’s specs and local/national building and fire codes. 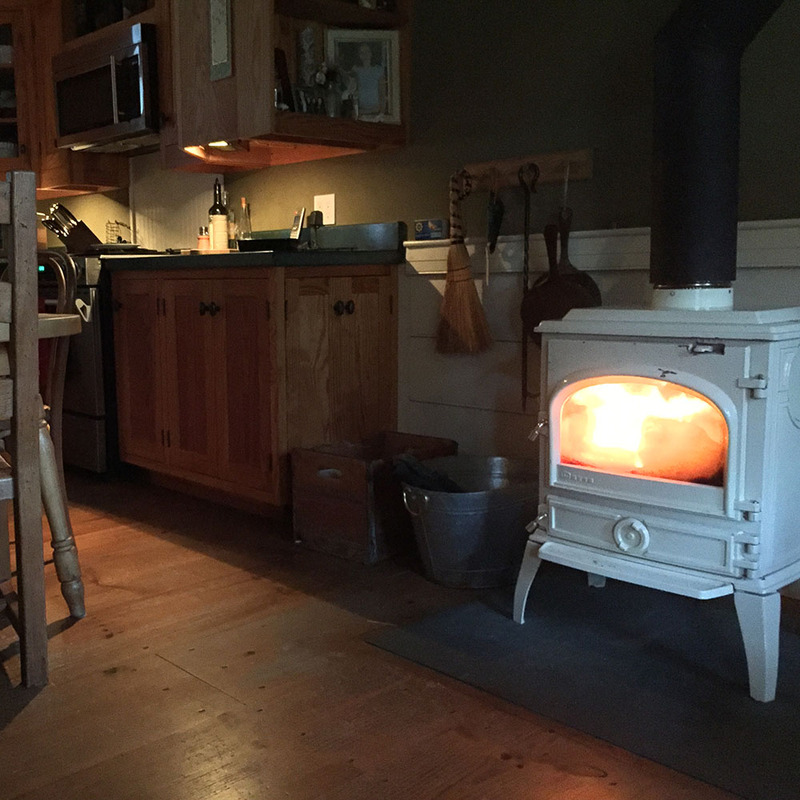 A wood stove is great if you are going to be around to enjoy the fire and don’t mind feeding and stoking. Follow best practices for burning wood that has been properly dried and seasoned in order to minimize creosote and burn clean. If reducing pollution is the primary driver of your decision keep in mind that pellet stoves heat cleaner than wood stoves.